To consolidate the management of the country’s microbial resources. To set up a common standard system in microbial resources management. 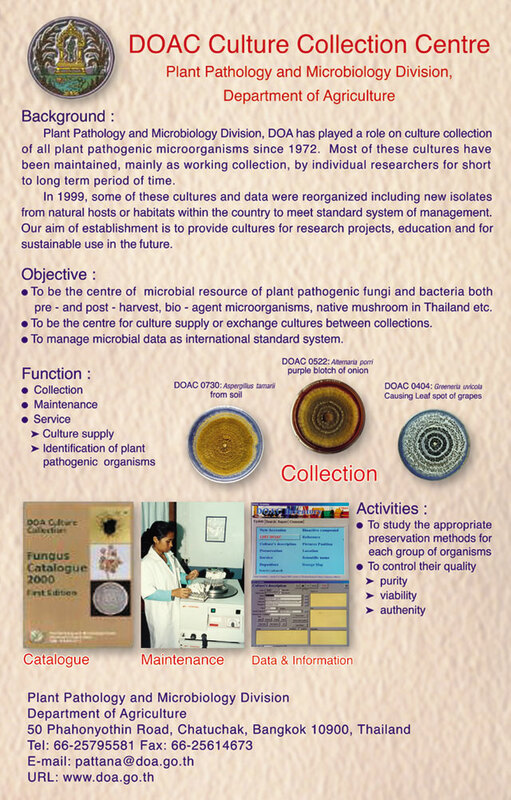 To provide a management tool in supporting conservation utilization of microbial resources. 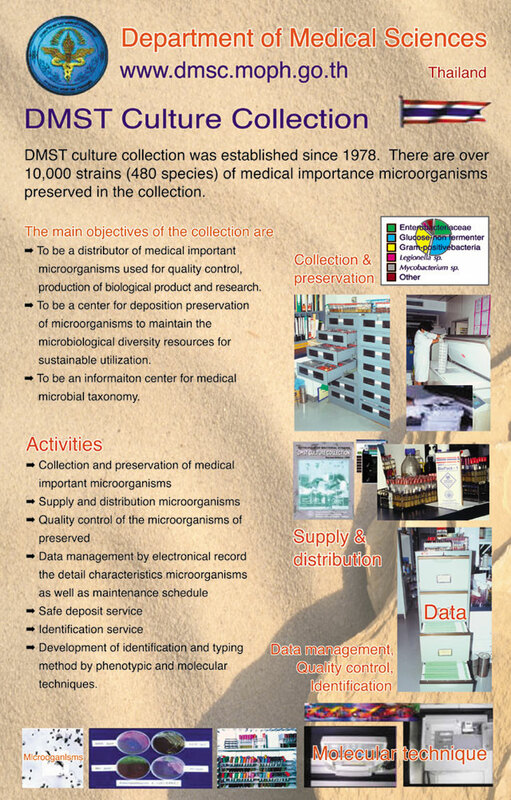 Microbial cultures and database of each collection member reach an international quality standard. 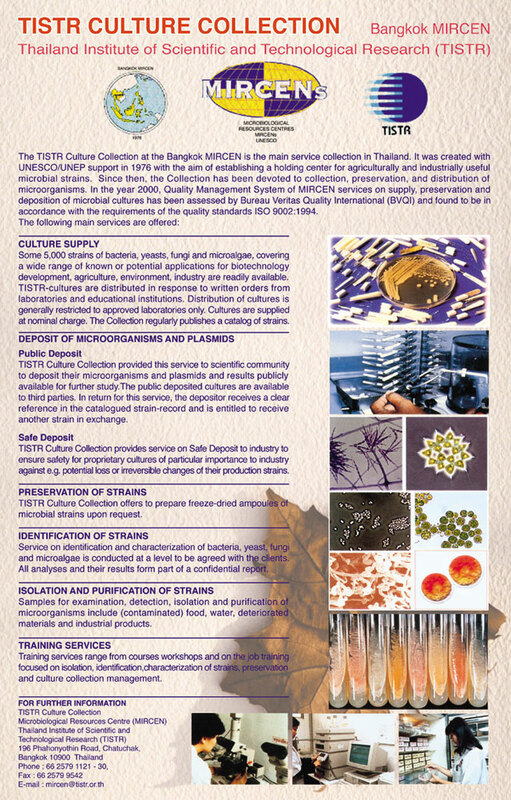 An international one-year training course on collection management is launched by the year 2002 and a minimum of qualified bioresource managers are produced within 5 years. 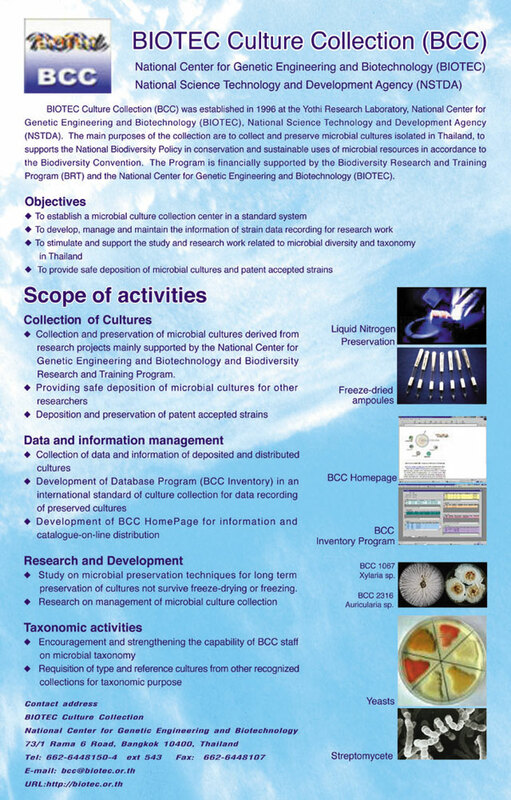 The country’s National BioResource Center (Thailand’s National BioResource Center; TNBRC) is developed by the year 2003.